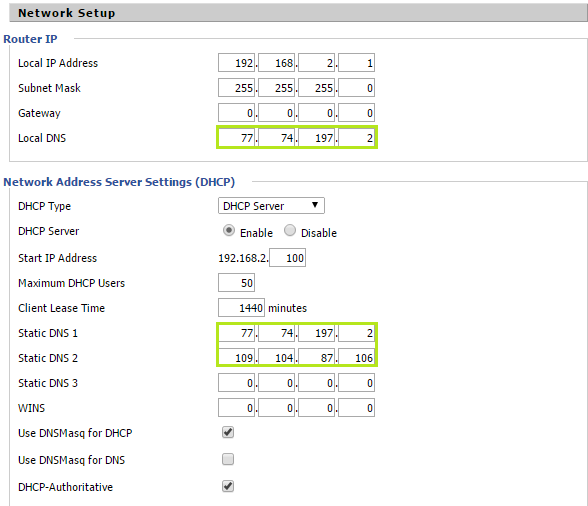 How to configure SimpleTelly on your DD-WRT router (Firewall). From our experience, the best routers that give you full customisation are DDWRT based routers. This guide will walk you through setting up a DDWRT router to use a firewall to restrict all outgoing DNS queries and push them to use SimpleTelly DNS servers instead. Before we begin, we'd just like to inform you that while the firewall rules listed in this guide can theoretically be used on any router(even those that are not set up to use DDWRT firmware) we have only tested this rule on a handful of routers and so we can't confirm that it will work on all routers on the market. First of all, you need to ensure that your DD-WRT router has been set with our DNS and working correctly as per our initial setup instructions here. Note: The above highlighted IP address are only an example, please use the DNS addresses that you took note earlier from our website. 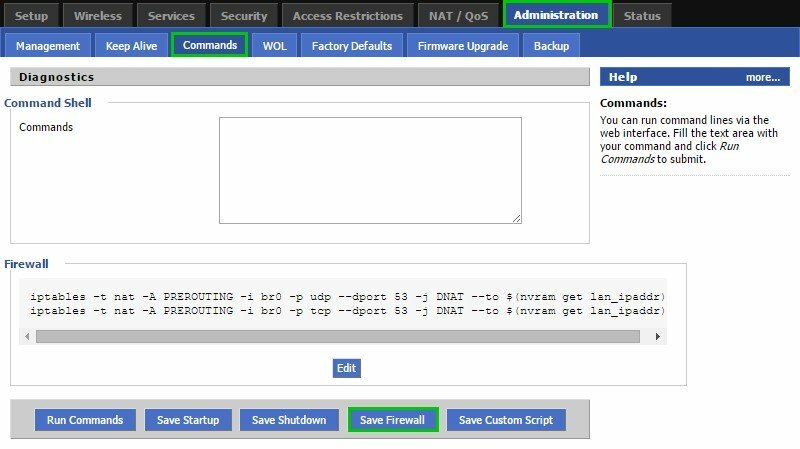 Once the settings are applied, go to your DD-WRT page again and click on Administration and Commands. Now click on Save Firewall to apply and save the settings. This rule will now ensure that all DNS queries sent from any device on your network will be redirected to use the DNS addresses you've set in the Setup page of the router.